The Stark Raving Viking: Governments causing Civil Emergencies to Gain Emergency Powers? Governments causing Civil Emergencies to Gain Emergency Powers? 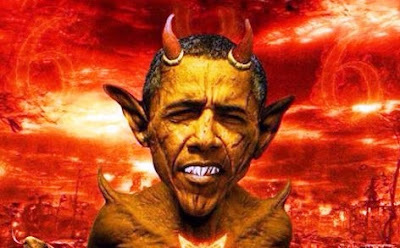 Satanic artistic representation of US President Barack Obama was [found here]. Are too many citizens paying attention to football games like the New England Patriots and Denver Broncos than paying attention to real news? Do most Americans and citizens of other countries know the extent that international criminals are ripping all of us off? Will Obama become director of the UN becoming World Dictator, a puppet for the billionaire cabal, international banksters, and corporate organized crime? How did the European Union work out for countries involved? How is the Federal Reserve, an international criminal corporation, working out for the US and the world?